VATICAN CITY (CNS) — Pope Francis made new appointments to the Dicastery for Communication, naming Andrea Tornielli, an Italian journalist, as its “editorial director” and Andrea Monda, an Italian journalist and religion teacher, as editor-in-chief of the Vatican newspaper, L’Osservatore Romano. The Vatican made the announcement Dec. 18. 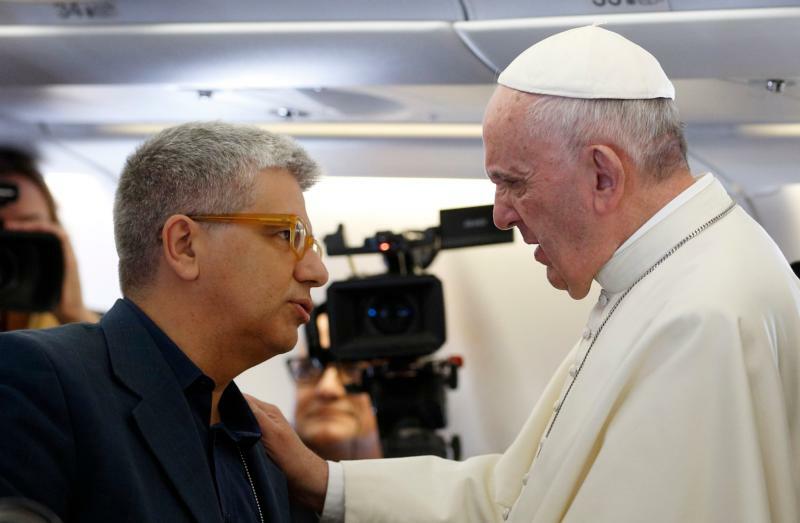 His role as “editorial director” will be to coordinate the “editorial line” of all the Vatican’s media outlets, to work on “strategic development” of new forms of communication and to integrate “traditional media with the digital world,” according to the dicastery’s statutes. He is the first to hold the post since it was created in 2016. In a statement released by the dicastery, Tornielli said, “I am convinced there is always a growing need for journalism that gives the facts before commenting on them, a journalism that, in an age of sound bites, is able to analyze” what is happening while also being aware of all of its facets. Monda, who was born in Rome in 1966, has degrees in law and religious studies. He worked in the legal department of the city’s tax collector’s office and then began teaching religion in Italian high schools in 2000. He has held seminars on Christianity and literature at two pontifical universities and contributes to a number of Catholic publications. He hosts a docu-style reality series, “Good morning, professor!” which is broadcast on the Italian bishops’ television channel, TV2000. Pope Francis chose him to coordinate the writing of reflections used during the Way of the Cross procession in 2018; Monda chose current and former students from his religion class to write the meditations. He replaces Giovanni Maria Vian, 66, a church historian who led the Vatican newspaper since 2007. Monda said in his statement that he sees the 157-year-old paper’s legacy is seeking to give more than the news, but to also inspire people to think. “The Osservatore Romano is the daily paper of the church and the church is above all the people of God,” he said.